Smartphones come in various sizes and shapes – solid-bodied phones, flip phones, and slide phones to name a few. But, have you ever seen a smartphone that can be folded? Well, you are about to see that too in the coming few months. Samsung, a leading brand in the global phone market, is all set to deliver one of the ground-breaking technologies in smartphones by announcing the release of their foldable phone, Samsung Galaxy X, by the end of 2017. With the release of this phone, Samsung can take credit for manufacturing the first foldable smartphone ever! However, Samsung is not the only brand working on this concept. There is a rumour that leading manufacturers LG and Lenovo are also planning to release their foldable smartphones possibly by the end of this year. Why Having A Foldable Smartphone Might Be A Good Idea? One of the main concerns with smartphones these days is the screen size, which is currently limited so that they can fit comfortably in your pocket. The best thing about the foldable phones is that they are flexible enough to be rolled up to fit any required size. With this design, it is possible to have a phone that doubles in size as a tablet! 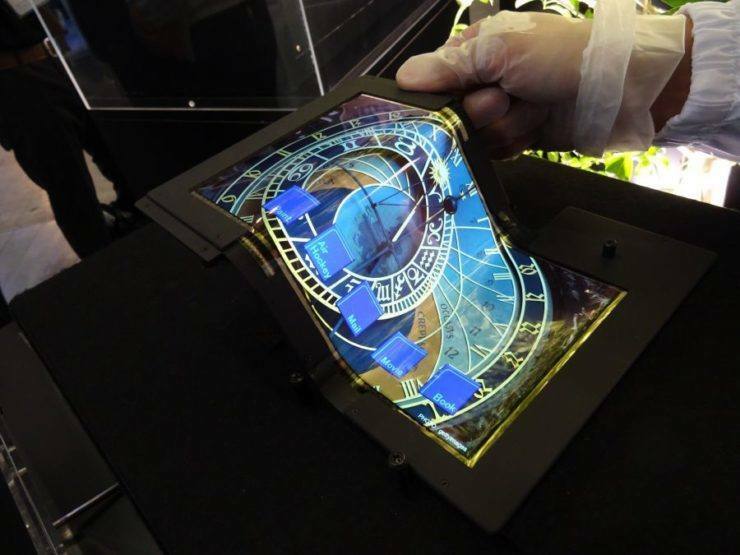 Foldable smartphones offer ahigh level of screen protection. In case you accidentally drop your phone, only the casing will be affected by the impact while the screen remains safe inside. Most smartphone screens are very sensitive to touch, which can cause phones to sense a touch when you don’t intend them to. It’s very common to have accidental screen activation when you walk with a smartphone in your pocket. This situation can be avoided with foldable phones since it is the casing that is exposed to the outside world while the screen is tucked inside. While swiping the phone is a convenient way to take calls for many people, it doesn’t provide a satisfying effect as the one you get from actually opening the phone. Foldable phones always provide a physical response to incoming calls. When you bend a flexible piece of polymer hundreds of times, small tears are guaranteed to appear in the material. Same is the case with foldable phones. With continuous use, the flexible portion of the phone is more than likely to undergo more wear and tear. Prolonged use of the phone may lead to stretching and contracting of the internal connections in its hardware which may pose serious issues in the long run. Since it is a folding smartphone, you can expect the device to have at least double the thickness of a standard smartphone. In addition to the design of the smartphone, what makes it even smarter is the third-party apps that we download from the Play Store. Those who want to install apps on their phones without visiting Play Store can first Download APKs for Free and then attempt to install them. Now, coming back to the point, the main problem with foldable phones is the concern whether these third-party apps will support the foldable features. The developers might face a hard time tailoring their apps to the folding screens. The competition among the manufacturers of smartphones is getting intense which has resulted in the development of some new devices and awesome technologies that we could have only imagined once upon a time. Whenever a new technology is introduced, most people are hesitant to try it out, thinking it might be a waste of money because these things don’t come cheap. But, if the manufacturers take steps to rectify the possible caveats mentioned above, the foldable smartphone is one technology that’s worth a try. 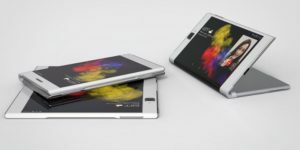 Wouldn’t it be great to have a phone that will unfold into a tablet? What are your views on this matter?